Bashing power? Yup. Sleuthing power? Hmm. Forget Dennis. Here’s Sherlock the Menace! There’s a mystery on Bash Street. Someone is out-menacing Dennis. What? we hear you say. But it’s true. They made the plants in the park spell out BUM-FACE. (Great idea, we admit.) But now they’ve tried to attack Dennis himself. Not such a great idea. 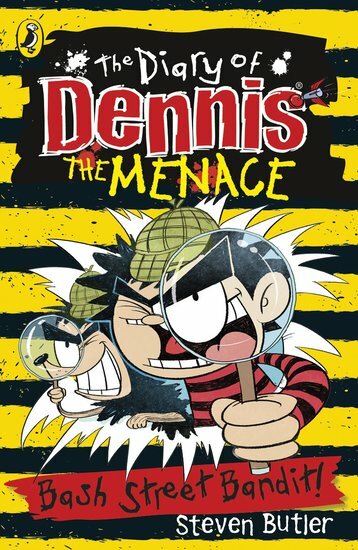 Only one menace is allowed on Bash Street. We all know who that is. Dennis must catch (and bash) this cheeky imposter. We know he’s got bashing power. But what’s his brainpower like? Think the Wimpy Kid or Tom Gates – gone tough!